Which electronic money / vouchers are supported? Can I exchange cash to cash? No, currency exchange from cash to cash is not supported. You can exchang into only electronic money / vouchers. Find the nearest place here. Does it charge transaction fee? What are the exchange rates? We don't charge fixed amount of fee by transaction. Just like regular currency exchange, amount you get is calculated by exchange rates. Can I insert cash of multiple currencies at the same time? Yes, Pocket Change is capable to count coins of multiple currencies in bulk. Unacceptable or unrecognizable coins are counted as "unknown". Then you can donate or return them back. Please insert bills one by one. Is there limits on amount or number of cash to insert? You can insert coins upto 100 coins per transaction. To reduce the risk of the coin jam, insert coins in moderate speed. Does it require any devices or cards for transaction? It depends on what e-money / voucher you choose. If you choose e-money of IC card type, touch the card to the device. In the other case, redemption code and instruction is printed on the receipt. Find more details in voucher profiles. 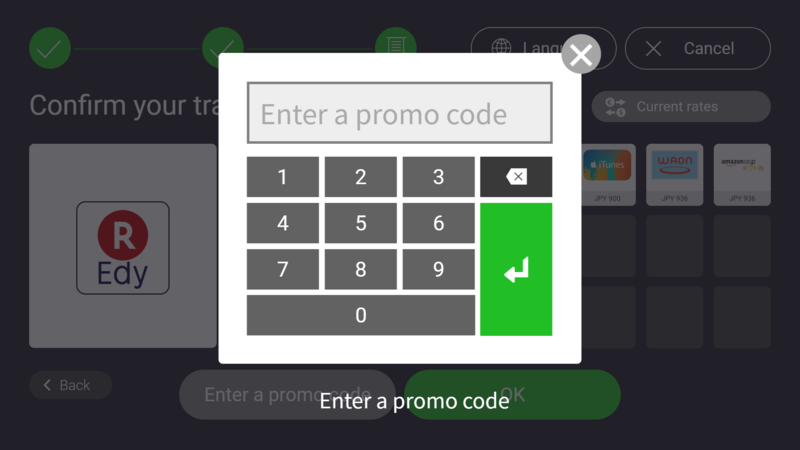 Find "Enter a promo code" button on the final confirmation screen. 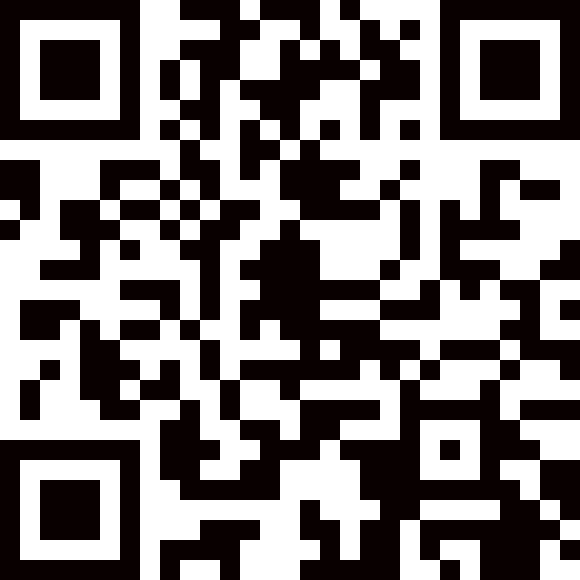 Tap the button and enter your promotion code and the transaction is recalculated with the better exchange rates. Can I check the operational status? We announce the operational status here. They are also redirected to the Twitter account.